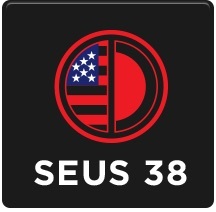 SEUS Japan 38 is a reminder of the significant cultural and commercial links between the Asian nation and the states that make up the Southeast-U.S. Japan Association: Alabama, Florida, Georgia, Mississippi, North Carolina, South Carolina and Tennessee. Two-way trade between Japan and the Southeastern states exceeded $30 billion in 2014, a figure that includes nearly $8 billion in SEUS-region exports to Japan, led by chemicals and transportation equipment. Here’s a look at four ways the close relationship with Japan has benefited the SEUS states and how the partnership will continue to pay dividends through expanding trade, investment and job-creation. Japanese corporations continue to build on a long tradition of investing in the SEUS region. Hundreds of Japanese companies now have a presence across the seven states, including steel makers, chemical producers, pharmaceutical firms, logistics organizations, auto manufacturers and many others. Since 1999, when Honda announced plans for an assembly plant in Talladega County, Japanese companies have invested more than $4.8 billion in Alabama alone. Last year, Japanese companies announced projects valued at $345 million in the state, creating 1,120 new jobs, according to the Alabama Department of Commerce. The momentum hasn’t slowed in 2015. In October, Yorozu, a global Tier 1 auto supplier, announced plans to build a $100 million factory in Jasper, creating 300 jobs. Yokohama-based Yorozu will be the third Japanese auto supplier to operate in the Walker County city, located 40 miles from Birmingham. Tennessee has been a major beneficiary of Japanese foreign direct investment, which has reached a cumulative total of $15 billion. That accounts for 60 percent of the state’s FDI, making Japan its No.1 foreign investor. Nearly 40,000 jobs have been created by Japanese-owned companies in Tennessee, according to a report from the state’s office in Yokohama. Around 180 Japanese companies have operations in Tennessee, and Nissan moved its North American headquarters to Nashville a decade ago. With foreign direct investment totaling $42 billion in 2014, Japan is a top source of FDI in the U.S. A considerable share of that investment ends up in the seven SEUS states. Throughout the region, Japanese companies in many different industries continue to build new facilities or expand existing operations. In September, Mitsubishi Polyester Film Inc. announced plans to invest $100 million to expand its facility in Greer, South Carolina, which at 1 million square feet is already the largest polyester film plant in the US. Tokyo-based Toray, the world’s largest producer of lightweight carbon fiber, is investing $1 billion-plus in a facility in Moore, South Carolina, to supply advanced materials for Boeing’s 787 and 777X aircraft, as well as the automotive industry. Toray also has two facilities in Decatur, Alabama, where it has invested $511 million. Kubota Manufacturing of America last year announced plans to invest $100 million to expand its Gainesville, Georgia, headquarters, creating an additional 650 jobs. Kubota, which makes tractors and lawnmowers, has nearly 2,200 employees in the state. The automotive manufacturing sector in the SEUS states has attracted substantial Japanese investment, accelerating the region’s emergence as a major global auto-producing center. Since opening an assembly plant in Smyrna, Tennessee, in 1983, Nissan has poured $6 billion into the operation, amassing workforce topping 8,000, according to information on its website. It also has a $1 billion engine plant in Tennessee and a $2.9 billion assembly plant in Mississippi, which together employ another 7,500. In 2007, Toyota opened a $954 million assembly plant near Tupelo, Mississippi, that today has 2,000 workers. And it has invested a total of $864 million in an engine plant in Huntsville, Alabama, that, after repeated expansions, now has a workforce approaching 1,300. It recently produced its 4 millionth engine. With operations through the Southeast, Honda is building corporate jets and snow blowers in North Carolina, all-terrain vehicles and personal watercraft in South Carolina, and transmissions in Georgia. It has invested $2.2 billion in an auto assembly plant in Lincoln, Alabama, with more than 4,000 workers. It added a new engine assembly line to the facility last year that is the company’s most advanced. Since its opening in 2001, that Honda plant in Talladega County has had a profound effect on the local economy, according to a Federal Reserve Bank of Atlanta report. It’s a story that resonates in other Southeastern communities where a Japanese company has made a major investment. Honda employs more than 4,000 people, and the plant has drawn other auto-related companies to the county, pushing auto-industry employment past the 7,000 mark. Honda pays $4.5 million in county school taxes each year. Since Honda’s arrival, Lincoln has added three new schools, a park, a new city hall and an industrial wastewater treatment plant. The average weekly wage for manufacturing jobs in the county has surged nearly 50 percent, about five times the increase for the nation as a whole. Overall weekly wages in Talladega County have also risen faster than wages nationwide. “It’s the best example of a rising tide lifting all boats,” Miller added.